You have worked hard your entire life, so sit back and let our staff take care of your daily needs. 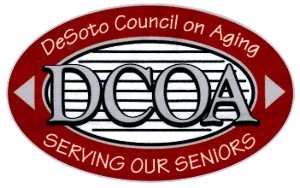 The faithful, dependable team from DeSoto Council On Aging in Mansfield, Louisiana, provides a variety of senior services, including respite care, transportation, and more, to make sure your week goes smoothly. Whether you are transitioning from assisted living or simply need an extra hand around the house, we are here to help you live life well. Easily travel to work, appointments, or stores with our transportation services. Simply give us 24-hour notice, and we will take you wherever you need to go, including Shreveport on Mondays, Wednesdays, and Fridays. Dependable and timely, our professional, courteous staff even carries up to three bags for you. For those with limited mobility, preparing a hot meal can be an incredible burden. We offer Meals on Wheels to any of our homebound clients, delivering freshly prepared food Monday through Thursday and a frozen meal on Fridays. We suggest a $3 donation to help cover costs and keep our program running. 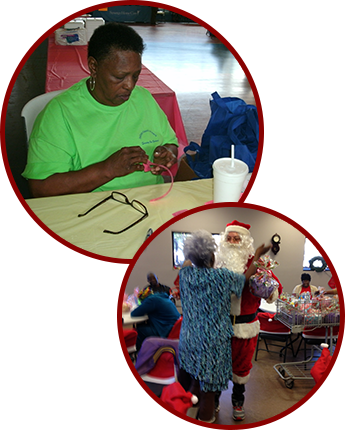 If you are not homebound, you are welcome to join us at any of our centers for a delicious, nutritious, low-sodium meal and fun, lunchtime activity. 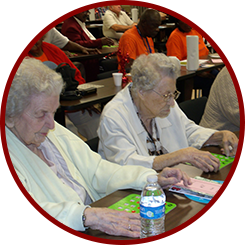 As always, your helpful, $3 donation makes it possible for us to offer these meals to every senior in need. Keep your home spotless with the help of our weekly cleaning services. For a suggested donation of $12 a week, we lightly clean your home, including mopping, sweeping, dusting, washing dishes, and changing bedsheets. We strive to make our services available to every person in need, so your donation helps us provide care to other members of our community. When you need a brief break to rest or run errands, let our staff take care of your loved one. We take care of your daily duties, so you have the time you need to go to the beauty shop, get some shopping done, or enjoy a nice day all to yourself. We book for a minimum of four hours and a maximum of 72 hours with no more than 96 hours spent per year. Navigating the legal system can be difficult and time-consuming without the right guidance. We give you access to a lawyer, either through in-person or phone consultations, to discuss wills, possession, and any other legal questions you may have. This service is free for our clients, but there is an application process to make sure you qualify.